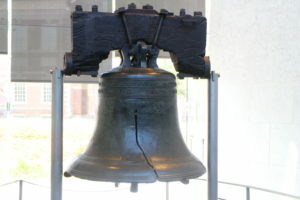 The two sides of Philadelphia! The day started early driving from Niagara Falls to Philadelphia. 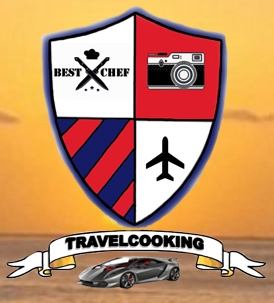 Visiting Niagara Falls was so enjoyable (See our experience here!) which made the departure difficult. Ahead of us was a 7-hours drive; however, it was nice because we had good music and plenty of time to chat. 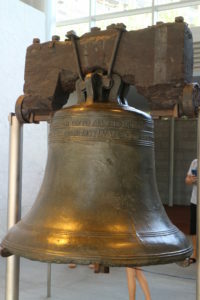 We arrived in downtown Philadelphia before midday, looking forward to visiting the Liberty Bell: “the World’s symbol of Liberty” as it says the inscription on the wall. 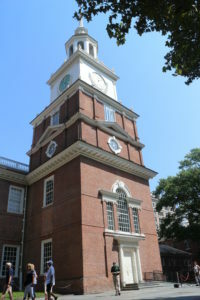 Our next stop was Independence Hall where we had time to go and look at the Declaration of Independence before starting the tour. Just the first line: “We the people”, has so much meaning. Is like going back in time through listening to the guide explaining what happened in these rooms makes the value of the North American legacy come to life. 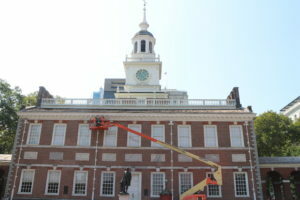 Listening about President Jefferson and the other brave men who by signing the Declaration of Independence, knew that their lives could be taken away, and the high principles that they desired for this new country, gives a sense of guidance that has been forgotten. For lunch, we had a Philly Cheese steak sandwich, of course! 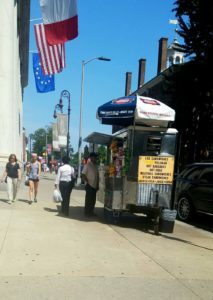 We bought our sandwiches form a street vender to prove we can be bold and courageous as well. The experience was really something else! We survived! 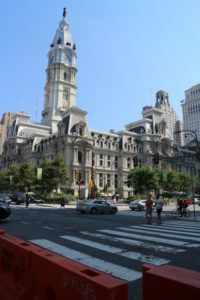 After that, we went to the Benjamin Franklin Parkway, a gorgeous street with so many flags! We walked down it to found ourselves in Love park. There were many buildings of interest around us and the weather was enjoyable. We went by the Free Library of Philadelphia, the Rodin Museum which has the largest collection of Auguste Rodin’s work outside Paris. 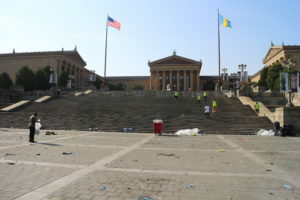 After that, we reached the Washington monument fountain and finally the Art Museum Steps which looked very messy with trash on the floor and many people cleaning it up because of an event that happened before. 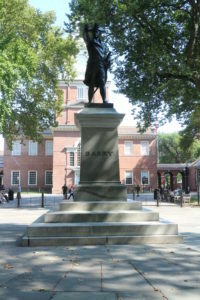 Philadelphia proved to have two different faces: a very historical one including the first places that United States got dreamed of, with all the monuments around it. The other side was more frightening. There are parts of the city that feel very unsafe. 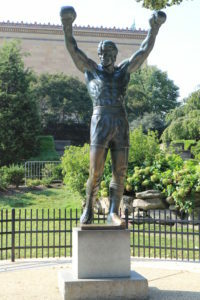 If you are planning to come, one day in Philadelphia might be enough. For sure, you need to visit Washington D.C. because it is a beautiful city.